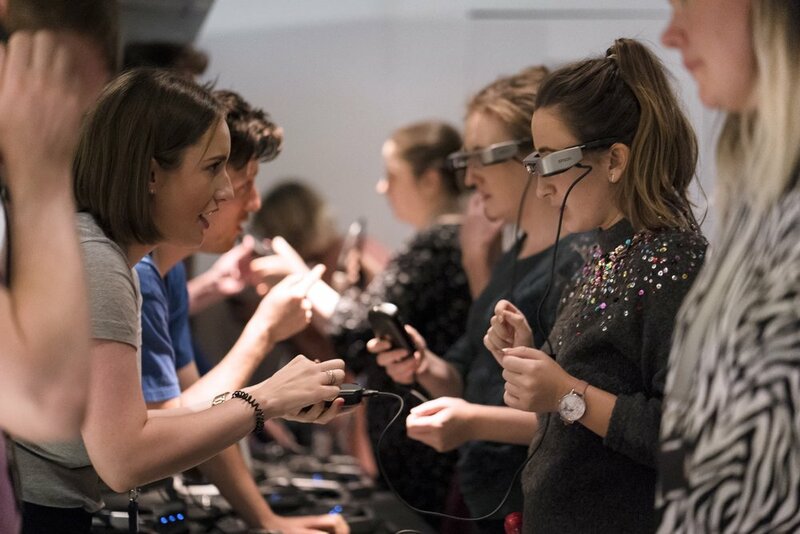 This April Leeds Playhouse will trial revolutionary smart caption glasses transforming access to theatre for audiences with hearing impairments. Audience members attending performances ofAround the World in 80 Days between 16 – 28 April will be able to use the caption glasses in the Pop-Up theatre. Leeds Beckett University Professor Andrew Lambourne collaborated with the National Theatre and Accenture, their Partner for Innovation, on the development of a pioneering system to transmit captions to these innovative glasses automatically. The smart caption glasses respond to the voices of the performers and display the text as it is spoken or sung on stage including descriptions of music and sound effects. Accenture and the National Theatre developed the service using glasses designed and manufactured by Epson, which stood out as the best on the market for the smart caption service. Leeds Playhouse has an award-winning access programme, supported for a decade by the theatre’s Access Partner, Irwin Mitchell. This includes the pioneering development of Relaxed and Dementia Friendly performances which are now nationally recognised. The theatre building is currently being redeveloped to vastly improve access throughout. Due to reopen in Autumn 2019, the regenerated building will have more level access in the auditoriums, improved lifts to navigate throughout the building and more central locations within all the theatres for wheelchair users. To find out more about trialling the caption glasses contact Leeds Playhouse on 0113 213 7700 or visit our Box Office, located at 19 Eastgate. Caption glasses available on performances from Tue 16 - Sun 28 April.